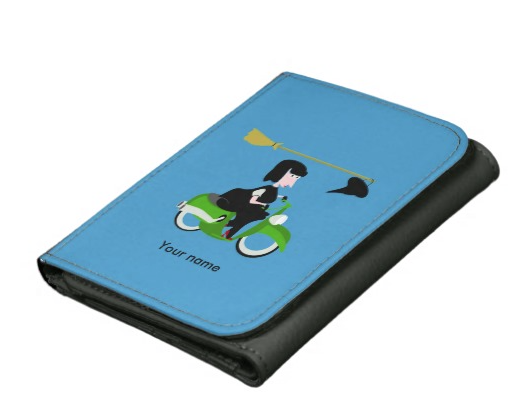 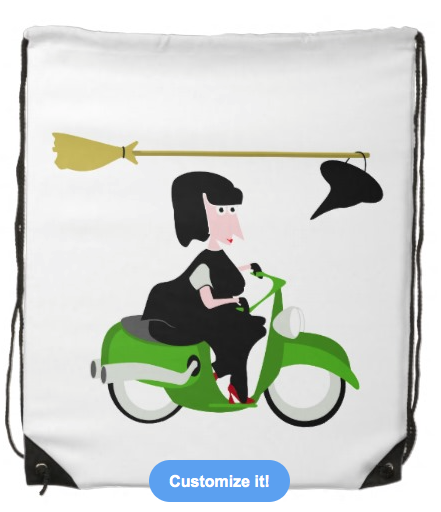 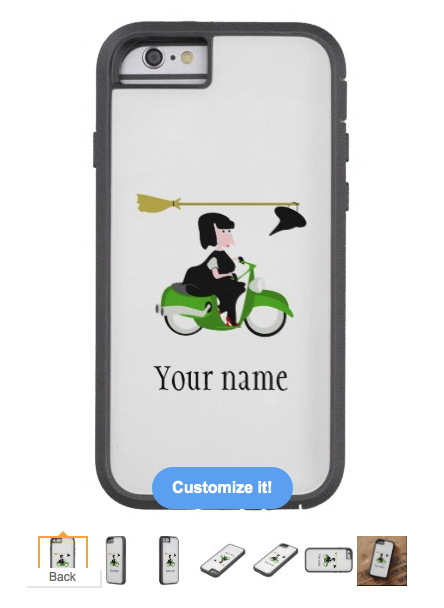 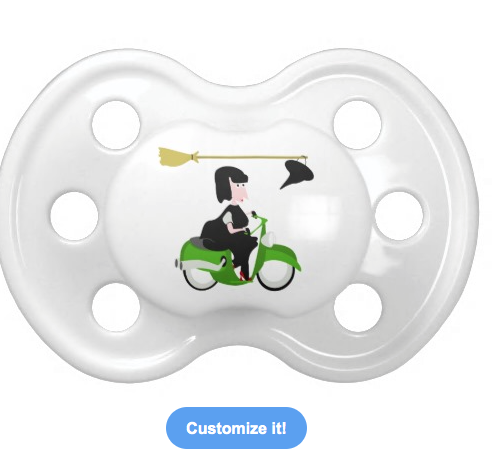 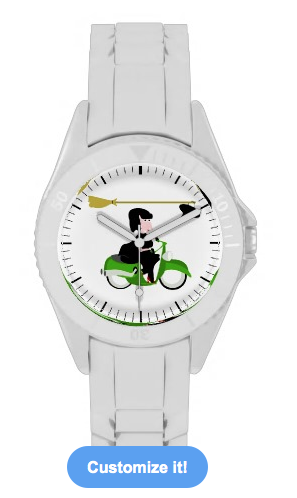 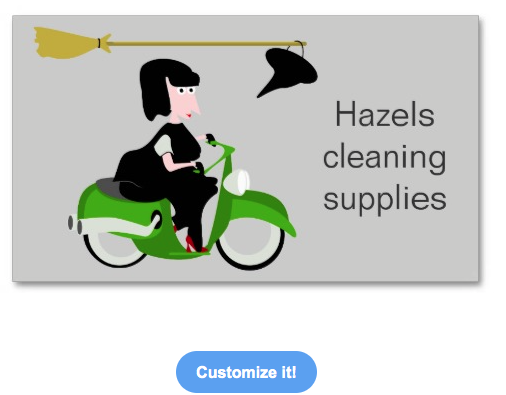 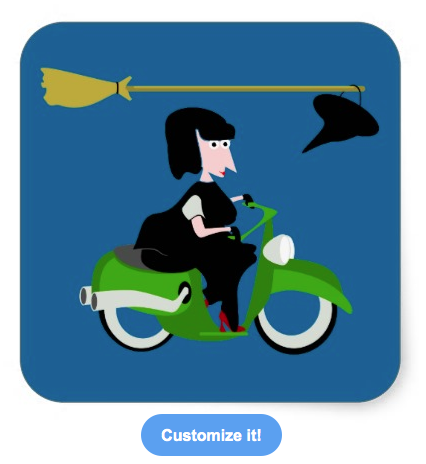 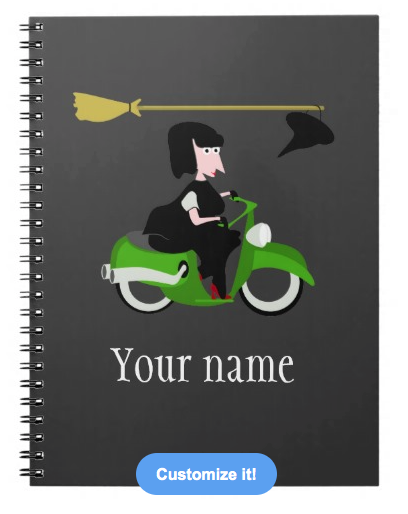 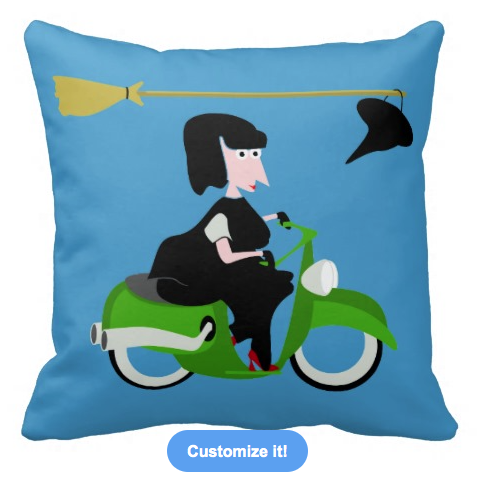 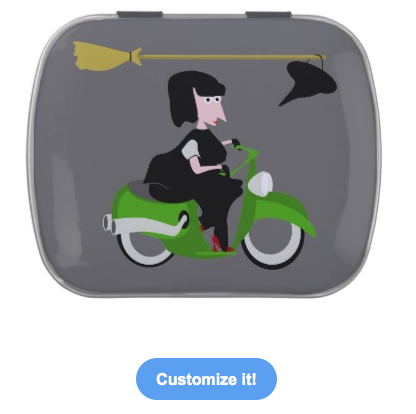 This witch design is on a range of products in my mailboxdisco zazzle store. 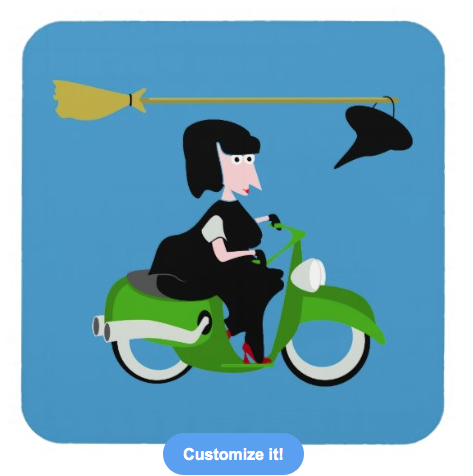 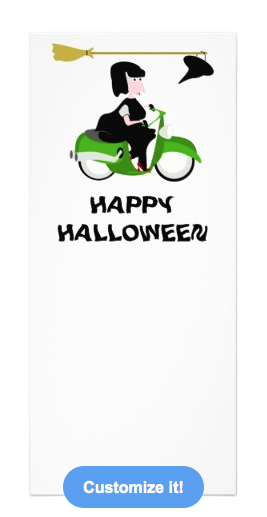 Witch Riding A Green Moped. 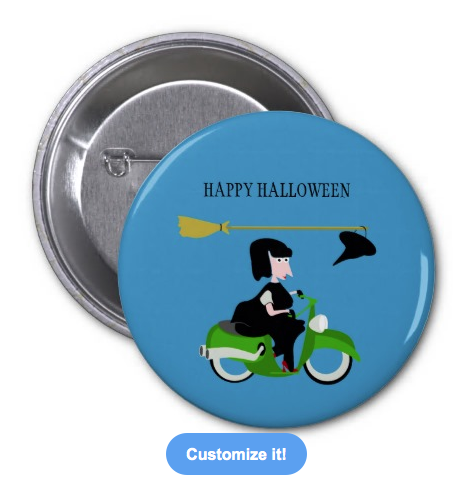 The witch is cartoon style and looks friendly, making this a Halloween design for all ages. 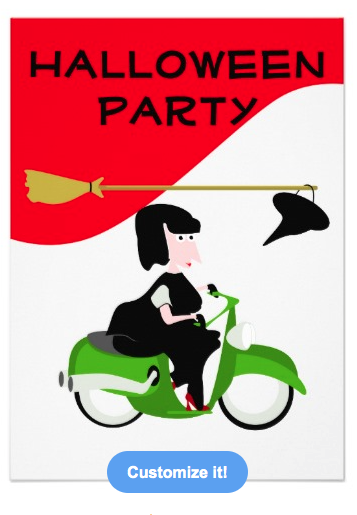 The witches broomstick is flying above the green motor bike carrying the witches black, pointy hat.